Fully remodeled 2 story unit in a fully upgraded Victorian. TIC in a 4 unit building. PRIVATE ELEVATOR & VIEW DECK. 2 car parking in newly constructed garage. Quality finishes and appliances. Unbeatable location 1/2 block from Divisadero Street. 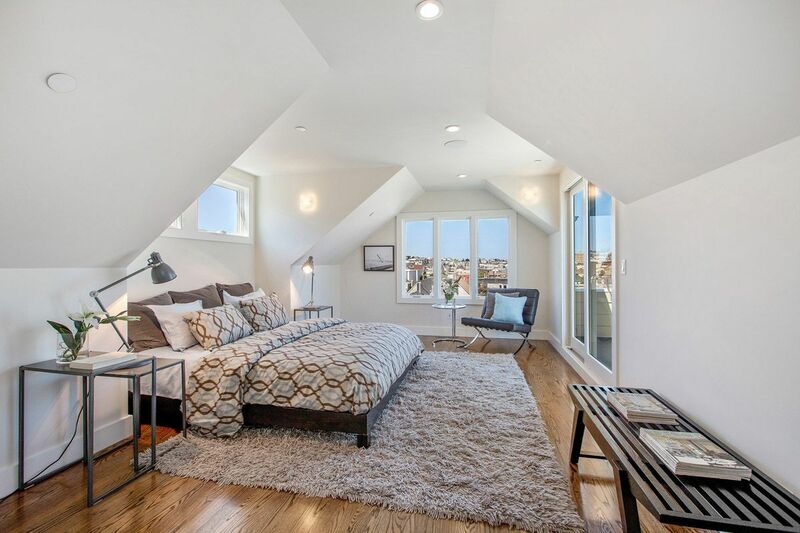 Gorgeous master suite with a deck & panoramic views toward Downtown & north.